Kiev: The UN Security Council will on Friday discuss an upsurge in fighting in east Ukraine that rattled the official truce. Fighting that killed nearly 30 people including a small child over the past few days has sparked fears of a resumption of large-scale hostilities in violation of a ceasefire agreed in February. Ukrainian President Petro Poroshenko on Thursday warned of a threat of a full-blown Russian invasion in the east where a child was killed and several wounded in a fresh bout of violence over the past 24 hours. Ukraine has accused pro-Moscow rebels of going on the offensive, while separatist forces say they are merely defending themselves and the region's Russian speakers. Poroshenko said on Friday that Russia had deployed "an unprecedented" number of troops on the border with Ukraine as well as claiming there are already thousands of troops in the rebel-held east of the ex-Soviet country. "There has never been such an amount of troops near our borders since August," Poroshenko told reporters, referring to the height of the hostilities that Kiev claims involved regular Russian troops. "I believe that there must be a reason to have such a powerful force in place. The threat of Russian invasion is unprecedented." In his annual address to parliament on Thursday, Poroshenko warned of a "colossal threat" of a serious escalation, claiming that more than 9,000 Russian soldiers were now in Ukraine to support the insurgency. The United States, the EU and Germany all expressed alarm over the renewed violence, with Washington warning Russia it would face new punishment if the crisis escalated. The Ukraine crisis will be high on the agenda of a G7 meeting that will be held in the Bavarian Alps without Russia this weekend. 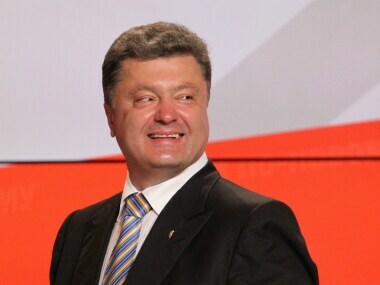 Poroshenko said he would speak by phone with US President Barack Obama and German Chancellor Angela Merkel ahead of the gathering. Poroshenko was also set to meet with Japanese Prime Minister Shinzo Abe, who is to visit Kiev ahead of the summit in a show of support. The Kremlin has accused Kiev of seeking to torpedo the fragile truce ahead of an EU summit in June which will discuss whether to extend sanctions against Russia that are set to expire in July.